US Secretary of State Mike Pompeo reportedly plans to travel to North Korea next week to discuss the country’s denuclearization plans in a follow-up to the Singapore summit between US President Donald Trump and North Korean leader Kim Jong-un three weeks ago. 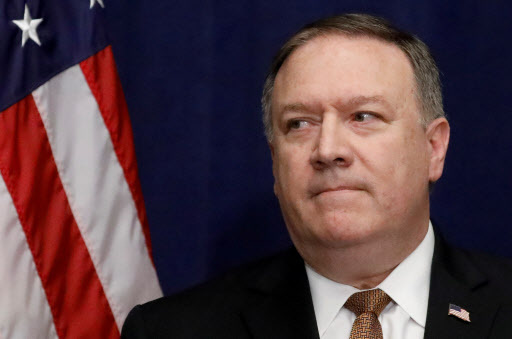 Pompeo, who has already traveled twice to North Korea to pave the way for the Singapore summit, had canceled a July 6 meeting with his Indian counterpart in Washington to fly to Pyongyang, the Financial Times reported Thursday, citing four US officials familiar with his plans. A State Department official did not confirm the report and said there were “no travels plans to announce,” Reuters reported. On Friday, Pompeo had a 33-minute phone call with his South Korean counterpart Kang Kyung-wha to explain Washington’s preparations for its follow-up negotiations with North Korea, according to Seoul’s Foreign Ministry. It is not clear whether Pompeo shared his plan to visit Pyongyang. If confirmed to be true, it would be the first senior-level face-to-face contact since Trump and Kim held their historic summit in Singapore on June 12. In their joint statement, North Korea committed to work toward “complete denuclearization” of the Korean Peninsula, and the US promised to provide security guarantees to the North. The countries committed to hold “follow-on negotiations,” led by Pompeo and a relevant high-level North Korean official, “at the earliest possible date” to implement the outcomes of the summit. The US and North Korea were expected to push for follow-up negotiations at a speedy pace, following the summit, but there has been no visible progress so far. The North Korean leader visited China on June 19, which fueled speculation that China had been behind North Korea’s seemingly lukewarm attitude toward follow-up talks with the US. Trump has already suspended a large-scale joint military exercise, while North Korea has taken steps to repatriate the remains of US soldiers killed during the 1950-53 Korean War. Meanwhile, Trump signaled the denuclearization process could be protracted, saying he would not rush negotiations with North Korea. “But when people rush it -- you know, it’s like rushing the turkey out of the stove. It’s not going to be as good,” he said Wednesday at a rally in Fargo, North Dakota. Pompeo also said he would not put a timeline on negotiations with North Korea in a recent interview with CNN. He previously said he aims to achieve the goal of North’s denuclearization by 2020, before the end of Trump’s first term. There appears to be several challenges ahead in establishing a road map for concrete steps to denuclearize North Korea, as some sticking points remain to be discussed, such as the scope of dismantlement of North Korea’s nuclear and missile programs and inspections by an independent body in the reclusive country. The outcome of the summit was criticized for lacking details such as a time frame and definition of denuclearization, with Pompeo himself admitting there remained much work to be done. It is unclear whether the “complete denuclearization” the two sides agreed on at the Singapore summit means the same thing for each country. The US insists it encompasses the concept of “verifiable and irreversible” denuclearization, which the US has demanded and North Korea has opposed. Pompeo said Wednesday he was confident Pyongyang understood the scope of the US demand for North Korea’s complete denuclearization. “We’ve been pretty unambiguous in our conversations about what we mean when we say complete denuclearization,” Pompeo told a Senate subcommittee hearing. Despite a rare thaw in relations between the US and North Korea, the US on Thursday designated North Korea as one of the worst human trafficking nations for a 16th consecutive year, citing its use of forced labor. The State Department’s annual 2018 Trafficking in Persons Report put North Korea in the lowest tier three of its classification of countries, together with China, Russia and Iran, citing the country’s use of forced labor in prison camps and training centers, state-sponsored forced labor to fund government functions as well as other illicit activities. North Korea has furiously reacted to the US and South Korea taking issue with its human rights situation, viewing it as undermining the regime’s authority.